Plus: Mortal Kombat XL comes to PC. Since the last Fightin’ Talk column, an ancient power has awakened. 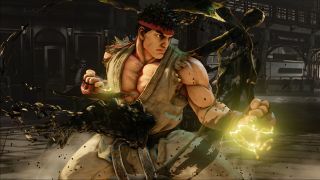 The man they call ‘The Beast’, arguably the greatest Street Fighter player of all-time, Daigo Umehara, has won not only his first but also his second Ranking Event of this Capcom Pro Tour season. The entire competitive roster has been put on notice. The Beast is back. I think? Since the launch of SFV, Daigo—or at least, some new marketing team behind him—has been on a bit of a social media offensive. He’s signed a deal with Red Bull and Twitch and has his own ‘BeasTV’ banner under which he now does weekly streams with notable Japanese players. He’s written a book, available as an ebook with limited physical copies sold at EVO. There’s a Twitter account that keeps track of all of this, all translated into English so everyone can follow. It’s the most visible and accessible Daigo has ever been, especially to an international audience, but the tournament wins he’s known for have eluded him until this past fortnight. By his own admission Daigo has said that he’s a slow learner when it comes to these games. On his BeasTV broadcast he also said that EVO was too soon for him, as well as stating that he wasn’t sure that people would even still be playing Street Fighter V next year. He’s had a few decent finishes but has had a few players cause him some real bother, like Haitani, who had a Necalli Daigo had no answer for and Tokido, who was out Ryu-ing Daigo's Ryu at many events. At E-Sports Festival Hong Kong, Daigo bested EVO top 8 Ken player Eita to take his first CPT win. Seven days later, at oZHadou Nationals 14 in Sydney, Australia, he beat Gamerbee to win his second. His Ryu play was extremely clean—no wasted motions, relying on the most solid fundamentals of the character and, of course, near perfect execution to beat everyone on his way to first place. It was a far cry from the Daigo of earlier this year—this was one brimming with confidence, with a calm and focused approach to taking on the character matchup. He’s currently on a kind of world tour, attending several ranking events over the coming weeks (including EGX in Birmingham, UK at the end of September). This weekend, he’s at East Coast Throwdown. Can he make it three for three? After a few months of not-so-subtle tweets by Ed Boon, NetherRealm Studios finally confirmed that Mortal Kombat XL—with its additional characters, balance tweaks and, crucially, completely reworked and improved netcode—is coming to PC. Back when XL was released earlier this year, an apparent half a million PC users were left hanging with their frankly poor port of the game. No fixes for even that in sight, never mind getting all the extra, new stuff. This past weekend, there was a beta test on Steam for the new version of the game and it seemed extremely promising for the future of Mortal Kombat on PC. Not only was the netcode pretty solid even at this beta test stage, but the game looks a lot better than before. Most of the annoying issues with the port are gone and it has the layer of extra sheen you’d expect with a decent PC version. MKXL has a deal with ESL and is the primary fighting game on their roster, has had US TV exposure (even before EVO appeared on ESPN) and attracts a decent competitor base. It’s the best-selling fighting game out of the current big guns. It’s a big deal, and owners of the PC version really got stiffed. A strange decision, as having a PC version is seen as an important part of courting that lucrative esports market. Now, the issue here is how exactly they’re going to price this. and getting XL live on PC is going to grow the audience and potentially the competitive scene. However, a six month wait for the PC version has poisoned it for a lot of people and a fair bit of goodwill is needed to revitalise the audience. A cursory look at the Steam stats for players currently still playing this broken version of MKX indicates around 300 a week at its highest. For such a big game, saleswise, that’s extremely poor. Even if they do decide to allow PC owners to upgrade to XL for free, it could be too little, too late, especially with Warner Bros’ less than stellar reputation when it comes to PC ports. We’ll have to wait and see.